These C.P. 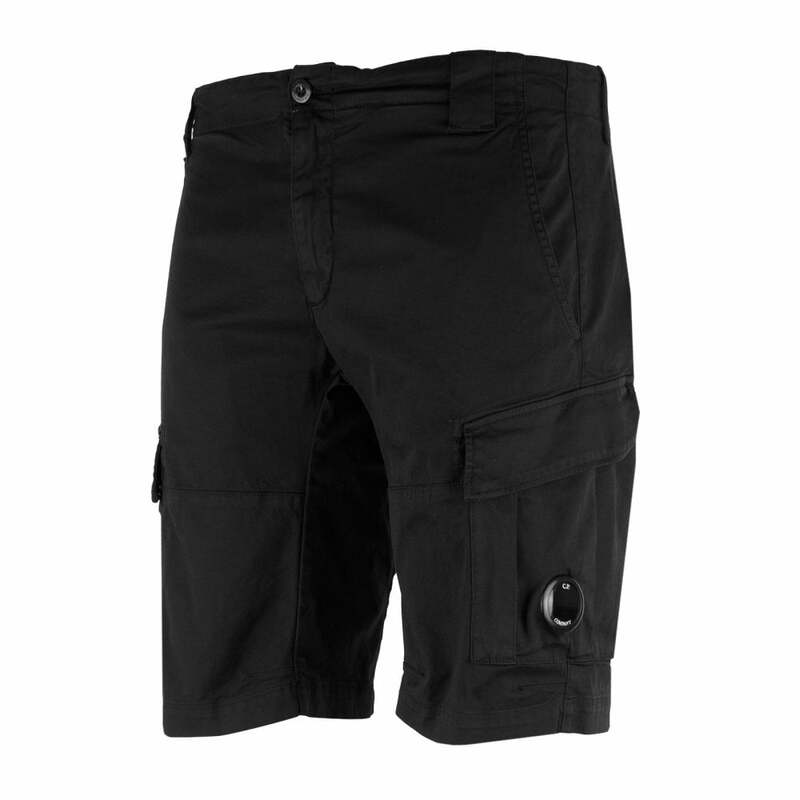 Company Cargo Shorts are a cotton and elastane blend and are black in colour. They have an button fastened waistband with belt loops and a zip fly. There are large, popper fastened cargo pockets on the legs, open side pockets and two popper fastened pockets at the rear. A C.P. Company branded goggle lens appears on the left leg.